The biggest challenge faced by consumer facing companies looking at the African Consumer Market is the age old positioning of the “middle class” as the ideal target audience. This middle class is segmented by the same attributes as the original middle classes who formed the consumer markets of the developed world. This is the outside of the same store. 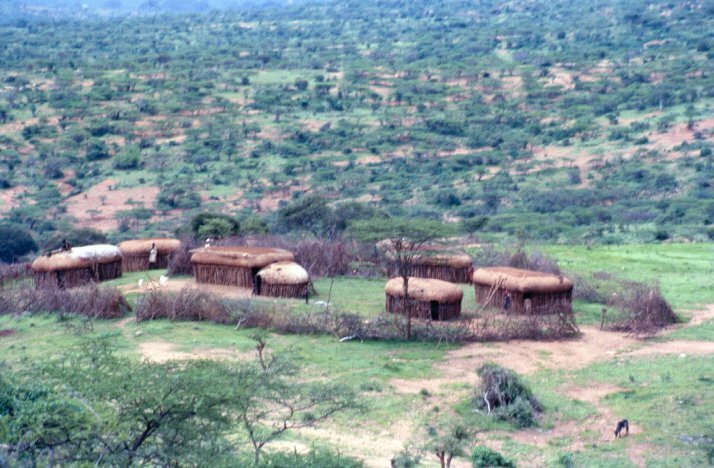 Its located in a town called Kilgoris, situated at the edge of densely populated Kisii in western Kenya, and the sparse land of the nomadic Maasai pastoralists. 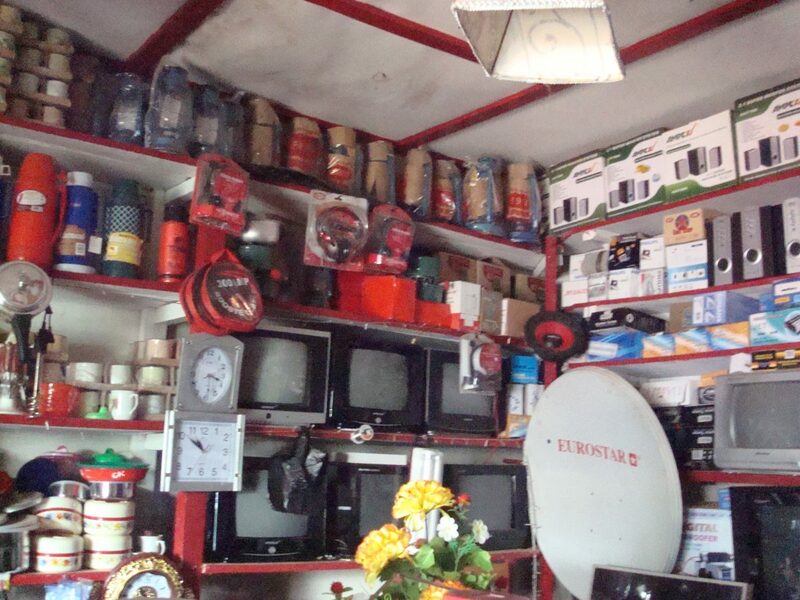 When you consider the range, the variety, and the price of the products displayed for sale, and compare it to the small dusty town with just one modern building, you wouldn’t imagine that solar panels worth USD 200 or Sony Bravia flatscreen TVs would be selling like hotcakes. But they do. 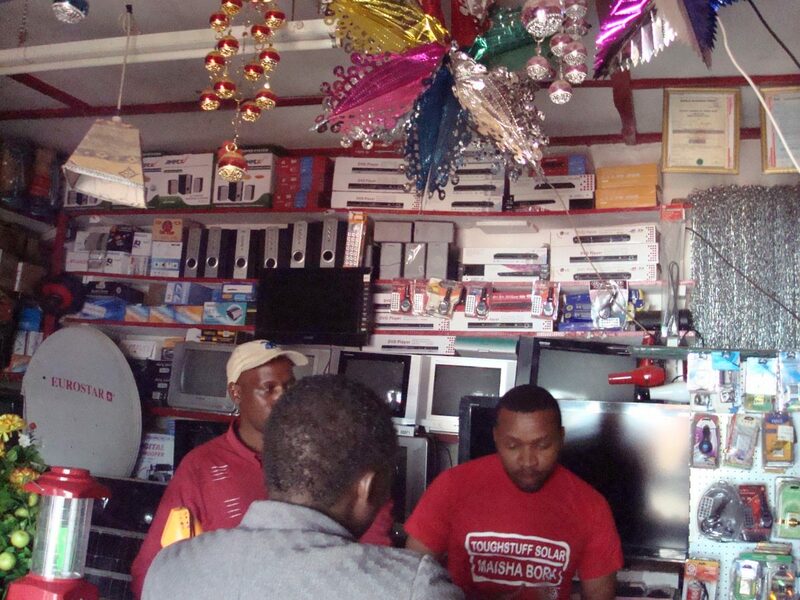 No dealer in a heavily cash based consumer market such as upcountry Kenya would tie up his working capital in expensive consumer electronics if there wasn’t a demand for it that meant the products sold quickly enough to keep the cash flowing in. My assumptions were completely upturned by this shopkeeper’s insights – it was the Maasai making purchases after attending the weekly livestock market. They’d pack 6 foot long solar panels, flat screen TVs, and satellite dishes onto the tops of hired trucks and take them off to their thornbush and mud manyattas. Yet neither you nor I would classify them by any of the traditional marketing department’s attributes as being part of the “middle class” consumer segment. 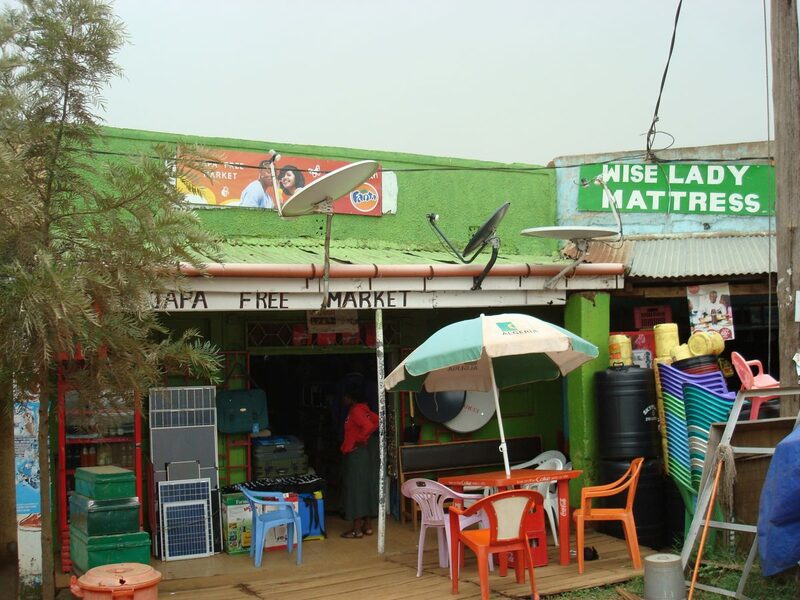 On the other hand, they were undeniably part of the African consumer market, and as the shopkeeper informed us, they were not only willing to spend on their homes, regardless of what they looked like from the outside, they could afford the best that he had to offer. 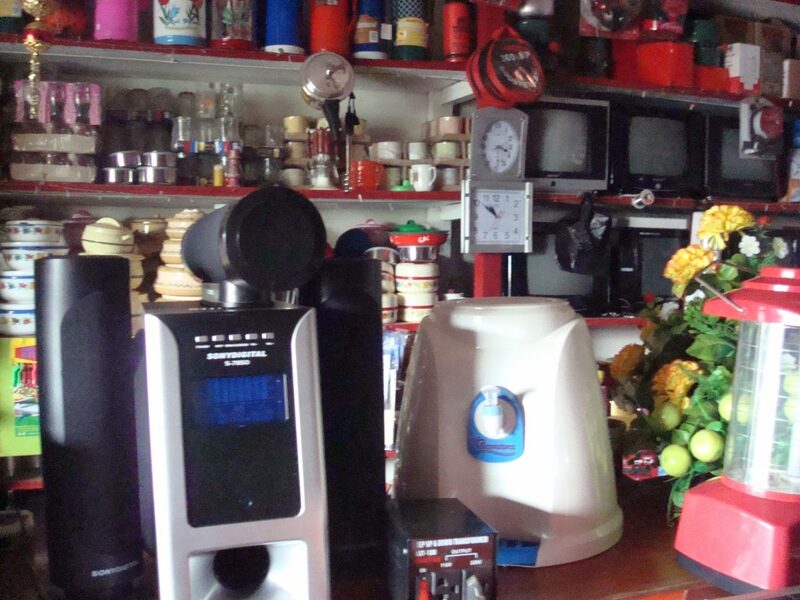 He showed us his entire stock of kitchen appliances, water filters, jugs, mugs, and even children’s toys and fake flowers from Dubai! It is dealers like this who know best what their customers want and they range as far away as Nairobi to obtain the products in demand. But I wonder if the marketers and the analysts still seeking the middle class have a clue about this huge market invisible to their eyes? And, whether, they’re looking in the right places? No matter what Google’s search results may show, this is NOT the image of mobile innovation, technology startups, and the African continent’s ICT infrastructure. This is a photograph staged by Oxfam to show a Maasai moran – a young man from one of the pastoralist communities living in the arid lands of Eastern Africa. 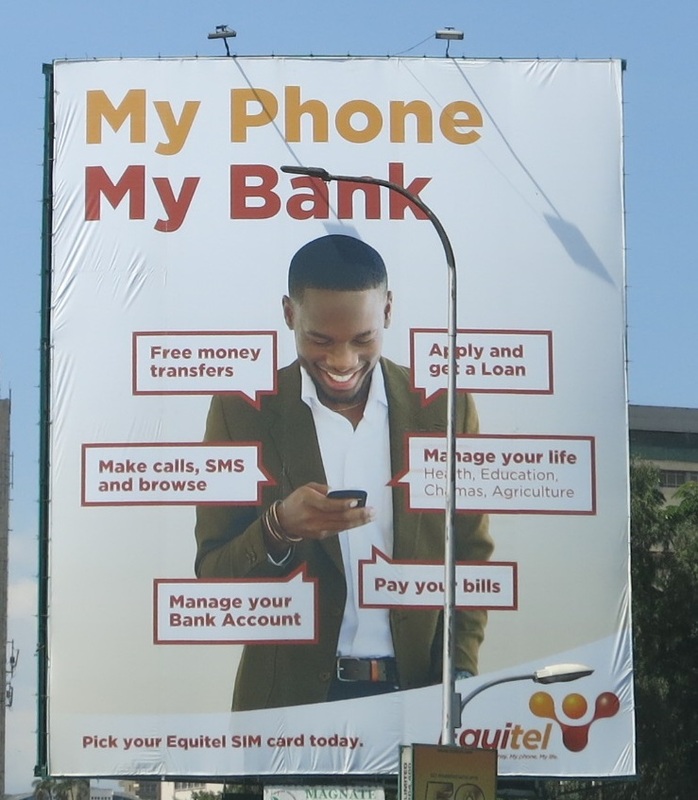 This billboard is from Nairobi, the regional heart of fintech and app driven business models, emerging from the numerous co-working spaces now dotting the grid connected city. There is fibre underneath. When you choose this photograph to illustrate your blogpost, article, or report on contemporary African tech and startup scene, what is the assumption you are making about the young people flocking online? What is the message you are choosing to send them about your opinion of them? Are you able to discern any difference between these two photographs? At first, I did not know what these two young men were upto during an enforced halt on our way to Kisii at the end of February this year. 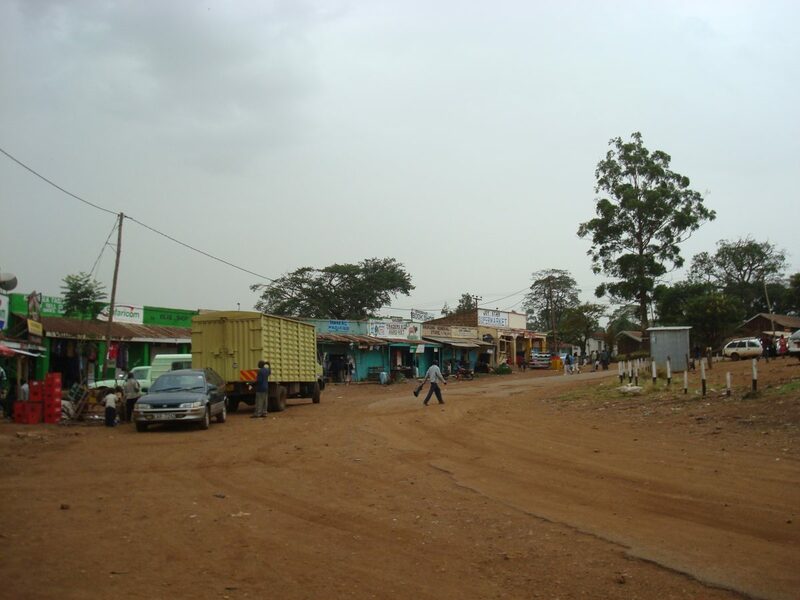 The road had been blocked by the local community demonstrating about land rights just a few kilometres outside of Narok, in the heart of Maasailand and the driver pulled the car back and to the side to park out of reach of any rocks if they were going to be thrown. Soon enough the traffic was backed up and a little community sprung up during the few hours we were there, waiting for the road to open up. While waiting I noticed these two in action. carefully, while laughing and making jokes – I did hear the word Facebook being mentioned a few times – before the other took his place and shared his views loudly. “This road belongs to all of us, it is not their grandfather’s road, so why are they blocking us from using it to continue our journey”. 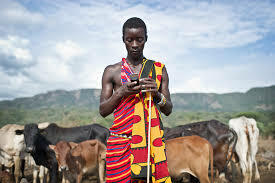 These few minutes, gratefully captured on camera, exemplify to me what is the current day situation in rural Kenya when it comes to everything we write and talk about the way smartphones and social media are enabling an information revolution in Sub Saharan Africa. Their response to being confronted with an unexpected political demonstration was no different from anywhere in the world today – whip out your smartphone and capture it on video. Their intent however was one step ahead of simply uploading the action on YouTube – by adding their own commentary on the situation and capturing the ‘common man’s’ opinion, they quickly turned this opportunity into an exemplar of citizen journalism, to be shared freely on social networks like Facebook. 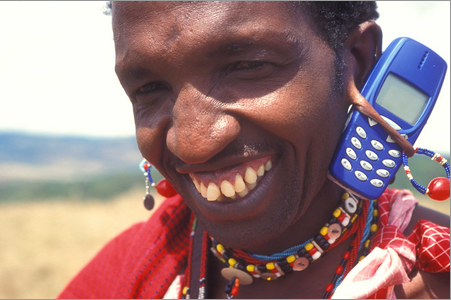 Perhaps its time we refresh these images to capture the impact of the mobile phone on the young moran from Maasailand than continue using the tired and stale imagery that we all recognize.